With the Ontario government introducing a new program severing the link between the cost of power and the price of power so it can shift 25 per cent of household power bills today to future generation by way massive new debts, it seems like a good idea to know why Ontario’s power rate crisis developed. Ontario’s power rates were relatively stable until 2008, when they started steep yearly increases. With the fastest rising rates in North America since then, Ontario’s rates surpassed the U.S. average years ago. The largest single factor driving this increase has been new generating capacity from wind and solar renewable generation. The Ontario government and its supporters commonly report the costs of different types of generation counting only payments made directly to particular forms of generation. Why don’t we replace wind power with gas power, save money and cut emissions? Where gas power is delivered on demand, wind is fickle. Eighty per cent of Ontario’s wind generation occurs at times and seasons so far out of phase with usage patterns that the entire output is surplus and is exported at a substantial loss or squandered with payments to generators to not generate. Gas power in Ontario backs up unreliable wind and solar, a necessary function if the lights are to stay on, but we pay twice for the same service. Direct payments to solar generators average 48 cents/kWh, but the output is similarly low value. Except for a few days per year, Ontario’s peak usage of power is just as solar panels shut down – in the evening. Not only is Ontario’s renewable energy production driving massive losses to subsidize exports and payments to generators to not generate under the terms of contracts that obligate consumers to buy even useless power, but it is also driving costly but low-value “smart grid” projects required to accommodate renewables. Rising power rates have driven down usage. Spreading rising costs over declining sales has amplified the pace of rate increases. Again, government and its supporters have pumped their claim that using less will save us money. What has actually happened is that conservation in Ontario is indeed saving money but mostly for utilities and their customers in Michigan and New York State on the receiving end of our subsidized exports. But didn’t renewables enable Ontario to get off coal, saving us from smog days, and slash health-care costs? Although endlessly repeated by the government and its supporters, none of these claims bear scrutiny. Coal’s replacement in Ontario was achieved with increased output from nuclear and gas generators. Improvement in air quality in recent years has been the result of a massive conversion to gas power in the mid-western states upwind of Ontario as well as improvements in transportation fleets and industry. Most of the coal power Ontario produced in its last years came from plants with good new scrubbers, delivering effectively smog-free energy. Predicted health-care savings from the coal phaseout never materialized. But isn’t the cost of renewable energy plunging? Ten years ago, the average payment to Ontario wind generators was around 8.3 cents/kWh. Taking into account inflation, the average today is up 50 per cent. Wind and solar aren’t the only renewable energy ripoff. Recent additions to Ontario’s hydro-electric capacity have added billions in new costs but no additional production. Ontario’s most costly generator is a converted coal-fired station in Thunder Bay, now fueled with a wood product imported from Norway. A bad smell emanates from renewable politics at Queen’s Park. Renewables developers who made the biggest donations to the provincial Liberals have tended to win the biggest contracts. Ontario’s renewable energy program is not the only disaster on consumers’ bills. Excessive payroll costs and wasteful conservation programs also lurk, but no single factor has contributed more to the compounding semi-annual increases in rates since 2008 than renewables. Most of the punishing cost consequences of Ontario’s radical renewables program are locked in with 20-year contracts. Children today will be paying these irresponsible contracts long into the future, along with current costs that the Wynne government has now decided will be added to this future burden. Tom Adams is an independent energy and environmental advisor and researcher focused on energy consumer concerns, mostly in Eastern Canada. 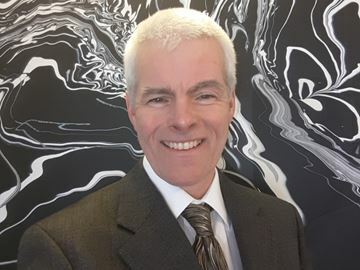 He has worked for several environmental organizations and served on the Ontario Independent Electricity Market Operator Board of Directors and the Ontario Centre for Excellence for Energy Board of Management. I have rugs that don’t lie as well as Liberals! It’s all in the training folks! Great article Tom and thanks. I hope, the opposing view author, Keith Brooks, reads it. Wow, he is sure in somebody’s back pocket. With a couple letters after his name he can be an energy expert without knowing anything about our electrical grid, just like K.W.. I would like to add to your comment on the cost of renewables. The Ontario power grid was designed, as you know, to deliver power from the generators to the consumers. Changing that format and feeding backwards has created very expensive technical difficulties. Billions have been spent to modify our old but working electrical grid so the renewables could be accomodated. The people of Ontario have paid dearly for this Liberal experiment. Our Liberal government bought into a bunch of promises and cosmic math predictions. The voltage regulators, line levelers, phase converters, high speed reclosers, frequency stabilizers, etc., etc., needed for the renewables are working to some degree but the reliability of the grid has tanked. We loose power regularly and the flucuations have burnt out lights, a TV, a computer and various office equipment. We had to install spike and surge suppressors which seem to have helped. To mesh the different types of systems one of the most expensive problems is that a lot of the changes are trial and error so if it works,,great,, and if it fails then back to the drawing board, with a huge bill. Backfeed protection for the base load generating stations had to be installed before the renewables could be connected and good thing they were but it was also another huge cost put on the taxpayer. What a waste to idle gas generators as back-up for sporatic windmills! The Green Energy Act was well thought out and will continue to move money up the ladder of entitlement for many years. FYI, my PV solar panels are 13 years old, have about 30% of rated output, produced ok for about 4 years but never worked as promoted. The only way to calculate renewables as cost-effective is to Liberalize the numbers. Stan Thayer CET Maxville On.